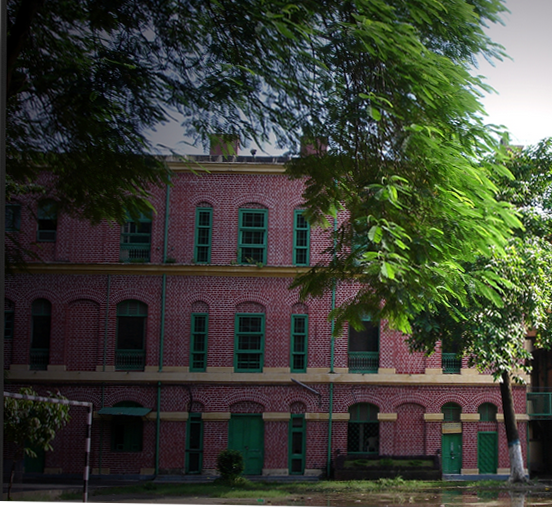 THE ORIGIN of The Calcutta Boys’ School is closely linked with the establishment of the Methodist Episcopal Church (now the MCI) in India. It was Bishop J.M. Thoburn (1836-1922) who founded The Calcutta Boys’ School in 1877. The same year, he was also given the charge of the Calcutta Girls School, which Lord Canning had established much earlier in 1856. The Calcutta Boys School was first located on the rear veranda of the Thoburn Church Parsonage, then located on Dharamtalla Street opposite the site of Methodist Episcopal Church, subsequently occupied by B.H. Smith & Co., with its opening in Mott’s Lane. Afterward the school moved in a room on Corporation Street near Whiteaway’s, and then shifted to the room at the corner of Princep Street opposite Wellington Square while the resident students continued to live in the Parsonage. The school finally acquired its own building at the current location on S.N. Banerjee Road in 1893, thanks, in large measure, to the generosity of a man who could be regarded as the chief patron of the school : Sir Robert Laidlaw KT (1856-1917). Sir Robert Laidlaw, the founder-chairman of the great business houses Whiteaway, Laidlaw and Co. and the Duncan Durian Rubber Estate, Ltd., donated the land and erected the Main building in 1893 (see above photograph), and the Renfrew House in 1902. He endowed the school with the 3 magnificent ‘Waverley Mansions’ in 1903 and established The Calcutta Boys’ School Endowment Trust in 1904. The main objective was to impart quality education. Initially the school was known mostly for extracurricular activities, however studies picked up after Mr Clifford Hicks joined in. 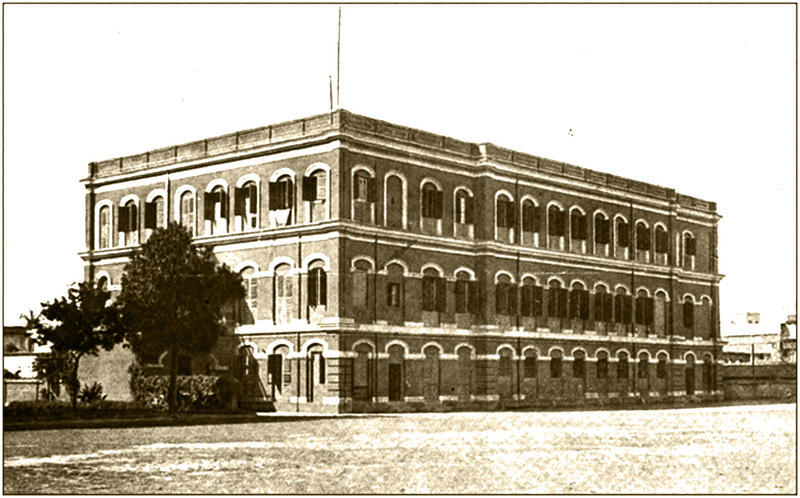 An educationist, later nominated a Member of the Legislative Assembly, Mr. Hicks , took over the reigns as principal. He introduced the motto “Two yards outside the school gates the jungle begins”. Mr. Hicks believed that the guardians of the students were required to be interviewed more rigorously than the students themselves, and during his tenure, this principle was adhered to strictly. Jaun Bazaar Street (now Corporation Street) was the first sidestreet of Chowringhee Road in Calcutta. On the corner of Jaun Bazaar Street was a complex of buildings housing the Secret and Political Department, dealing with relations with the Indian and other foreign states in the region. Residential areas like Chowringhee and the Esplanade acquired boundary walls, screens and gates to match the imposing new buildings, many of which were consciously based on classical styles – as if to bring the effects of Western civilisation into the alien Indian environment. The styles were adapted from their European models to provide greater shade and good circulation of air. 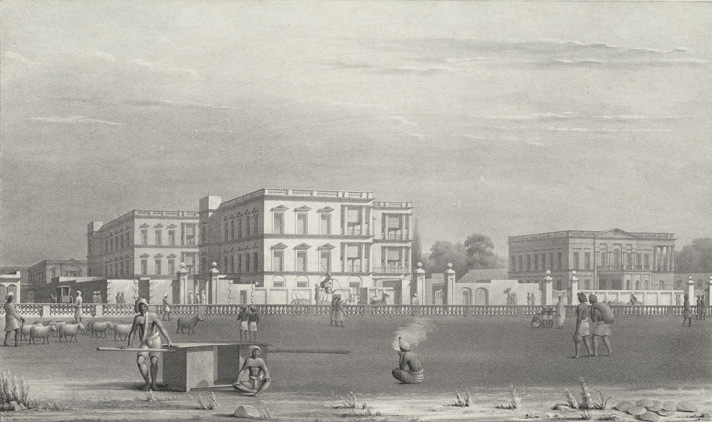 This lithograph is taken from plate 8 from ‘Views of Calcutta’ an album of paintings by William Wood.